Chart No. 42 - The North Pole Stretch. This is a move to restore the position of the occiput and atlas, which are pulled inferiorly by the attached muscles. The object is to release the compression between the vertebrae on the cartilagenous [cartilaginous] disks. This can be accomplished sometimes all along the spinal column when relaxation is complete. 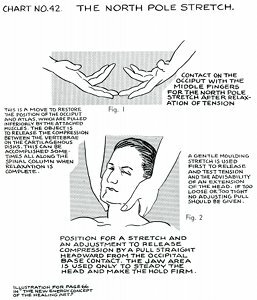 A gentle moulding [molding] stretch is used first to release and test tension and the advisability of an extension of the head. If too loose or too tight no adjusting pull should be given. 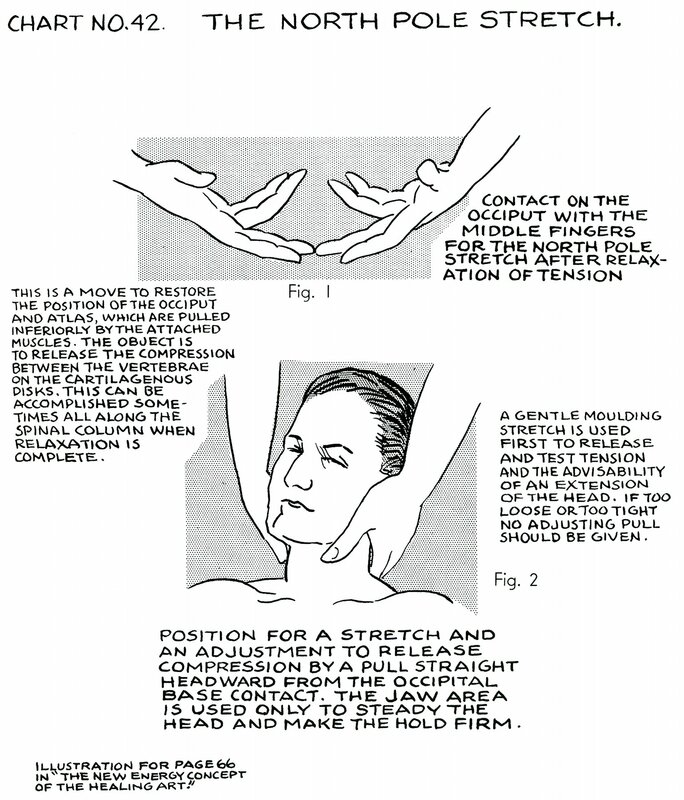 Position for a stretch and an adjustment to release compression by a pull straight headward from the occipital base contact. 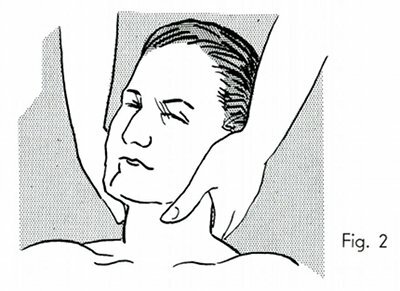 The jaw area is used only to steady the head and make the hold firm. Illustration for page 66 in "The New Energy Concept of the Healing Art." 1 In The Complete Collected Works, page 86 of Book 1.